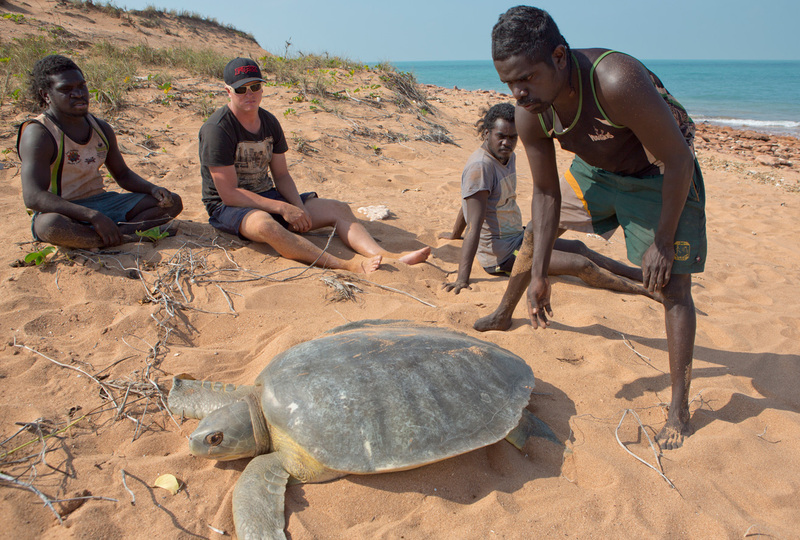 This adventure-packed taste of modern-day life on a remote Arnhem Land outstation is a rough-cut gem that shines with the energy and enthusiasm of its four central characters. 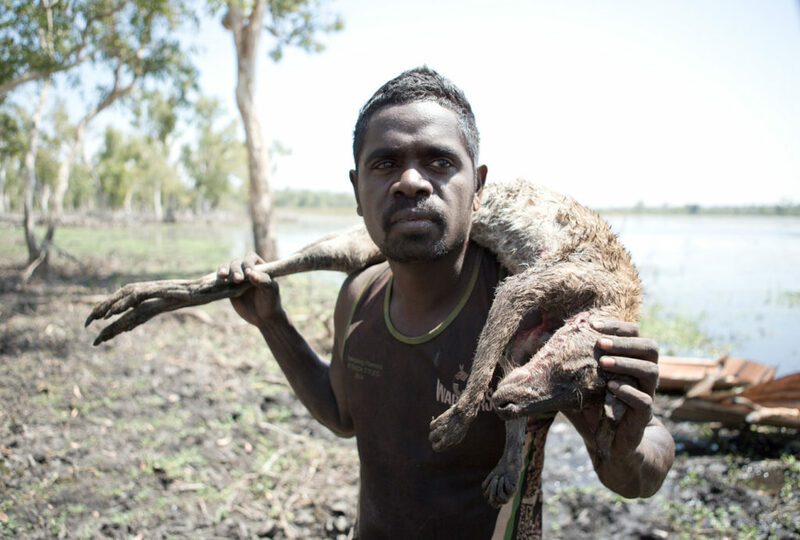 Three young Yolngu men, Jerome, Chico and Dino, and their adopted brother Joe, go on a series of bush trips to hunt, forage and fish, all the while honouring the land and their ancestral law. Along the way, there are untold delays and obstacles. Their every movement is dictated by tides and frustrated by flooded creeks and fallen trees. Equipment creaks and cracks and cars conk out in the harsh bush environment. The constant running repairs showcase some nifty handiwork. Time and again, the boys draw on their vast pool of ingenuity and resourcefulness to save the day. Their bush skills are invaluable but sometimes there’s no substitute for brute strength or blind faith. The heave-ho heroics are accompanied by plenty of good-natured banter, glimpses of heartfelt reflection and a touch of magic – all familiar themes in the work of director David Batty. Black As came about as a result of David’s acclaimed 2001 mini-series Bush Mechanics, set in the Warlpiri lands around Yuendumu, north-west of Alice Springs. At the other end of the Northern Territory, in the North East Arnhem community of Ramingining, the four young stars of Black As had grown up with Bush Mechanics. They were the first generation of Aboriginal people to see their culture represented positively on screen. It was a natural progression for these young men to want to tell their own story by documenting their gung-ho hunting and bush tucker exploits. So they enlisted the help of visiting doctor Buddhima Lokuge and invited David to come and work with them. After several enthusiastic meetings and a crowdsourcing initiative to fund a pilot, Black As secured funding from Screen Australia, the ABC and Screen Territory. “The best thing about the crowdfunding campaign was that it demonstrated there was an audience for the show,” says David. “People loved the pilots and had faith that we would deliver more. They decided the ABC online platform iView was a natural fit for the action-based format they had nutted out. The community became involved in the project too. Local music provides the soundtrack, and rushes were screened regularly to provide a feel for the production as it unfolded. For David, the chance to tell the story of young Aboriginal people living a healthy modern life that incorporates and honours their traditions was a big incentive. “Aboriginal Australia is all too often about sedentary life and its associated diseases and dysfunction,” he says. “In Black As we celebrate Aboriginal youth culture, bush foods and a hunter/gatherer tradition.